Cat parents like us get often puzzled by the question like this: “How much wet and dry food to feed a cat“. 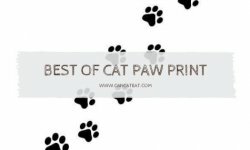 We are here to help you to find out, all you need to know about feeding wet and dry cat food to your cat. 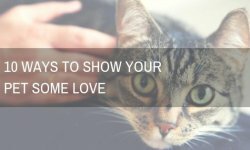 If you just got a new cat and a first time cat owner, “how often should I feed my cat wet food and dry cat food to a cat” and “How much should I feed my cat?” This type of question is likely to come to your mind when you bring your cat home. But, if you are a cat owner for more than a year. Sometimes you may whether your cats should raw cat food or wet cat food. Either, you should be “mixing raw cat food or raw cat food”. Let’s go through a few factors to decide while answering “How much wet and dry food to feed a cat”? 1.1 What Should Cats Eat And Why? What Nutrients Do They Need? When it comes to a group of cat parents, Everyone will have a different opinion if you talk about wet cat food vs. dry cat food. If you want to understand deeply about the issues. Then, you need to understand the cat’s physiology. 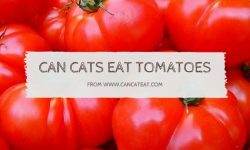 What Should Cats Eat And Why? What Nutrients Do They Need? First thing first, what nutrient do they really need on a daily basis? Cats are different from the dogs. Dogs are omnivorous. They are able to break down and digest both vegetable and animal protein. Where cats are obligate carnivores. That means that cats need animal-based meats in their diets. Even though theoretically, cats could get enough protein from plant material. But, they need the amino acid taurine in order to thrive. Taurine is found primarily animal-based meat. Carnivores do not require to down cellulose found in the plant. So, they have a shorter digestive system. If you are introducing plant material in her diet it could cause a digestive problem. Wet cat food, their primary ingredient is meat or fish. It provides a meal which is good for a cat’s dietary needs. But, it does not mean that canned wet cat food is always better than canned wet cat food. The best dry cat food is always good, at least better than a worst canned food. You already know the difference between wet and dry cat food. But you may not have the idea about how much moisture is required. According to purina.com, In the U.S, dry cat food must have no more than 20% moisture content. 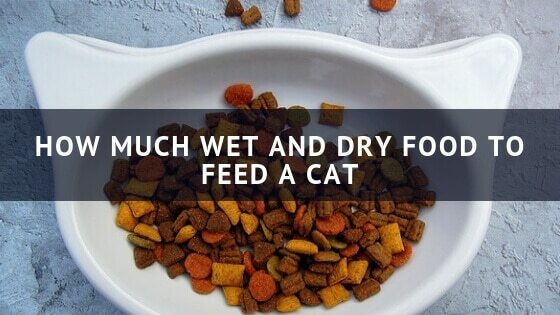 And, the wet cat food has much more than that at least 65%. That is why you find dry food packaged in bags while wet food is in cans or pouches. Every cat is different so, their taste and needs are also different. It depends on the cat and her taste. Therefore, You just can’t judge them by pros and cons. Nutrition More protein and fatty acids. Many cat owners leave dry food out for their cats. Some people supplement it with wet food and some don’t. Is it the equivalent of feeding your kids on a steady diet of fast food. If you are giving your cat only dry food to eat. She is likely to be getting less nutrition to compare to other cats eating canned wet cat food. A lot of fillers are present in many low-quality dry cat food. In the wild, only five percent of carbohydrates is in cat’s diet. That carbohydrate she gets from ingesting the stomach contents of her prey. As many fillers are the necessary requirement for the extrusion process to shape dry food nuggets during manufacturing dry cat food. Dry cat foods are cost-savings Since they’re a cheaper ingredient than meat. In wild cats eat their prey animal. They get about 70 percent of water from their prey animals. Canned wet cat food has averaged 78 percent of water. And the dry cat food has averaged 10 percent of water. Therefore, if a cat is eating only dry food diets, usually don’t get enough water. They could become chronically dehydrated. That can cause health problems like Chronic Renal Failure (CRF) and urinary crystals. According to Purina, if a cat eating cat dry food. Then, she should drink approximately one cup of water for every ten pounds of body weight in a 24-hour period. And, the weather is warm. Then, she will need even more. And in other hand, Cats are eating canned wet food diets. They only need to consume one-third to one-half that amount of water. If you are feeding your cat kibble. It is essential to provide a clean, appealing source of fresh water. Pet water fountains work very well. It will encourage your cat to drink water. And, their filters ensure a fresh, clean water supply for your cat. Cats are on dry food only diets are more prone to obesity and diabetes than the cats who eat wet cat food. The reason behind it is due to the high carbohydrate levels. There are many kinds of kibble. And, part is due to it gives a free choice feeding of dry cat food which gives cats 24-hour access to food. So, is it mean that wet cat food is better, right? Well, not necessarily all the time. A very cheap wet food is not good for your cat to compare to a premium quality dry food. Always check the ingredients. It should list an animal protein and the source of it as its number one ingredient. And, They should not contain meat by-products. Some people argue that a cat is living on only canned food diet can lead to dental problems. That including gingivitis. But if you schedule regular dental checkups and cleanings. This really isn’t an issue. The mix of dry cat food and canned wet cat food can help your cat with dental health. If you are worried about her teeth you can probably give her raw chicken, chicken neck to chew for her teeth once or twice a week for exercise her jaw. Feeding dry cat food to your is convenient. If you have a busy routine. Dry food may be perfect. Wet food should not be left out not more than 30 to 60 minutes at a time. This will help to prevent bacterial growth. Another good thing as we have mentioned before, dry cat food can help promote dental, oral health in cats. Chewing and crunching for your feline, helps them to reduce plaque and tartar buildup in a good way. That wet food can’t. While your kittens are growing, They need a crucial nutritional needs. Should they eat dry cat food or wet cat food? Good quality Kitten food will have more protein. They will contain more healthy nutrition, calories compare to foods for adult cats. An opinion, a good quality dry kitten food daily along with a mix of a small portion of quality wet kitten foods. Many cat foods are made for cats of all life stages. It is very important to check your food. You should look at the label for food provides complete and balanced nutrition list of ingredients. Cat’s nutritional needs depend on many other factors like her age, weight and her activity level. Consult with your veterinarian if you have certain doubts. You can choose wet dry or the combination of both is the best for your cat. Blended and mixed both wet and dry cat food can be a good solution. With a good feeling, routines can offer the best of both worlds. You can feed your cat dry food in the morning. And wet cat food in the evening. Therefore, in this way, she can the benefit of both cat food. There is also a good option of mixing the cat’s dry food with wet cat food. This can also help your cat to get additional moisture in her meal. But, Keep in mind, though, This is still very important to maintain proper portion control to make sure that your cat is getting the right amount of nutrients to maintain a healthy diet and weight. You can choose wet and dry cat food. But, the debate between both cat food does not easily answer. Each cat is unique with their own taste. Some cats are picky over other cats. Things can work for your cat may not work for your neighbour’s cat. For best advice always consult with your vet. Your cat’s nutrition and diet is an important part of her health. Just keep in mind. Always try to provide your good quality cat food. Then there is no issue, no debates. And, always read the ingredient in the back of the label to make sure there are no meat by-products in them. Important things are she is happy and loves what she is eating and getting the best out of it and maintaining a healthy diet. Always consult with your vet if you have further doubts because a proper diet is very important for your cat’s healthy life. Hope this article could answer your question “how much wet and dry food to feed a cat“.